Janelle In Real Life: March's clothing budget revealed! Can you believe that March is already ending? I can't complain though... I'm soooo ready for warmer weather! 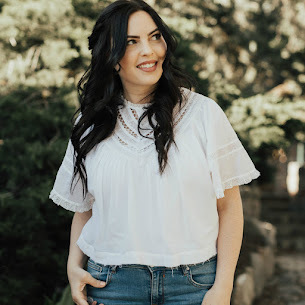 Last month I shared my February clothing budget with you guys and I got some feedback saying that you liked those posts! So I'm keepin' em coming. I share what I spend my money on because I think it's important to keep it real around here. I, like many of you, don't have an unlimited amount of income to spend on clothing. Things like food, rent, cars, baby costs, and all of the other life expenses take precedence over shopping for clothes in my family, but I like to give myself a monthly "allowance" for clothing. Everyone is going to have a different way to break down expenses, and here's a look into how I do it. 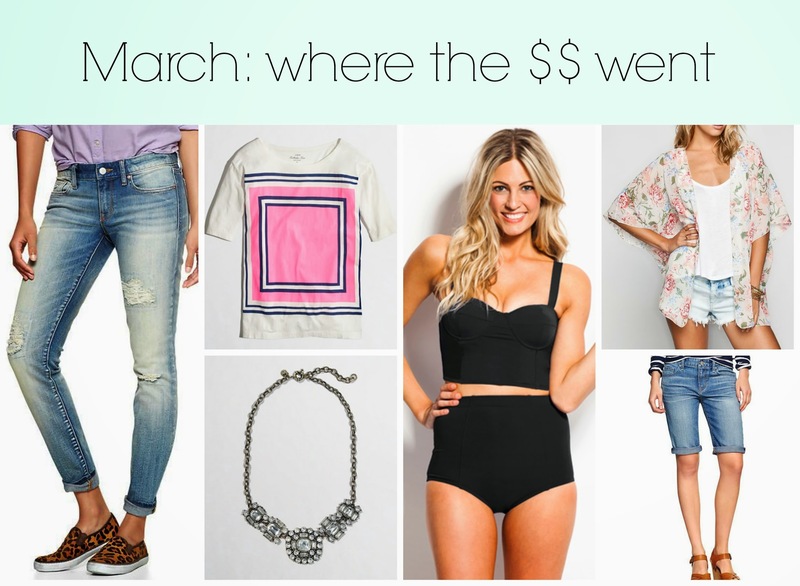 Here's how I spent the dolla bills for the month of March! As you can tell from my spending from this month & last... I'm really into buying things on sale. I'm one of those people that stalks promo codes and coupons online until I can find a better deal on something I'm thinking of purchasing. In my opinion, the best way to save is to figure out what you want to spend your money on first... and then go on a hunt to find the best deal for it (or wait for a good sale). That way you're not buying things just because they're on sale AND you're getting what you already want, just for a better price! I hope you guys are still a fan of these budget posts... let me know your thoughts! Not bad at all!!! i love budgeting! i try to get a lot of my stuff with gift cards i win from giveaways. you got some fun items this month. That floral kimono is GORGEOUS! And what a great deal too! Stalking promo codes and coupons is the way to go! Your purchases are all so cute!